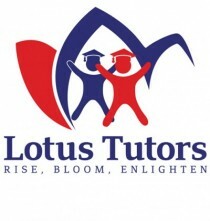 Lotus Tutors is Oxford's leading family owned education consultancy with an impeccable reputation for results based tutoring. We provide professional tutors for one-to-one in-home tutoring, online tutoring or small group tutoring at our tuition centre. Our tutors are experts in Primary, SATS, Common Entrance exam preparation for 11+ and 13+, GCSE/IGCSE, I.B. and A Levels. We have a clear vision: to be the most trusted education consultancy, where students and tutors love to learn and teach respectively. At Lotus Tutors we strongly believe every student has the capacity to excel and achieve their target grades given the right training and mentoring. That is precisely what we and our fantastic team of tutors thrive to do. As a local family owned business our reputation is paramount. All our registered tutors are enhanced DBS checked, vetted, referenced and advised on child protection. Our tutors are educated from the top universities globally recognised and have substantial tutoring experience in their subject of expertise. Many of our tutors are fully qualified teachers with years of experience in teaching at local schools. The importance of building confidence in a student, exam techniques and revision methods are paramount tutoring strategies used by our tutors. We cover most areas of Oxfordshire including Oxford, Abingdon, Bicester, Didcot & Wantage. For one-to-one in home tutoring our tutors normally travel to your home depending on the area the student lives. For small group tutoring the student can travel to our tuition centre in Summertown. For online tutoring all you need is your PC, tablet or an android phone with a good WiFi connection and you are ready to do tutoring.